A family reunion is a reason to celebrate! What better way to do that than to take it on the road with a family reunion bus rental. Transportation is part of the family reunion planning process. Whether you are taking a day trip, a 10-day trip to the National Parks, or just driving by the homestead where your parents or grandparents grew up, traveling by motorcoach is a great way to be together. Traveling together is a surefire way to create memories, share in experiences and have stories to tell for years to come. We make getting there part of the fun! 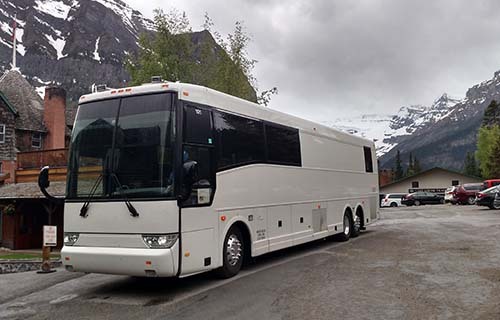 We offer luxury 21 Passenger Minicoaches all the way up to our 56 Passenger Motorcoaches. Our VIP coaches have also begun to gain some popularity for family reunion travelers. All of our buses are equipped with a wide array of amenities. View our fleet to help decide which option will make the best family reunion charter bus for your occasion. Forget about renting a motorhome and having to figure out who is going to drive, along with the rest of the headaches that come with taking on that kind of responsibility, like directions, navigating and parking hassles. Just call Windstar! We’ll pick you up at your front door and the only thing you’ll have left to do is relax and experience the luxury of a Windstar motorcoach and the service of a professional Windstar driver!